“SOLITARY MAN” GETS A CHAPLIN! 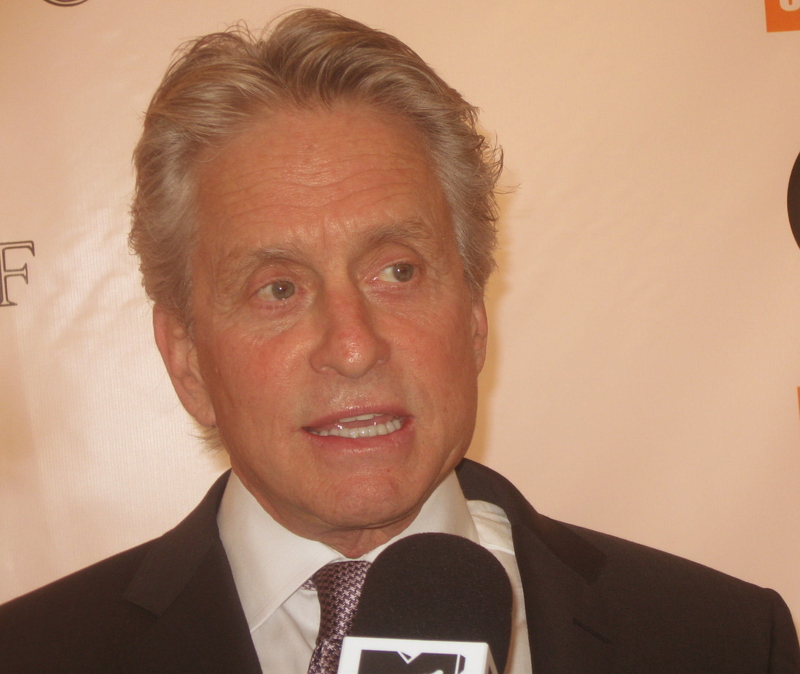 Humanitarian, actor, producer, husband, father and friend are just a few of the words to describe legendary Michael Douglas and if you see his latest film “Solitary Man” you may also want to add “ingenious” to the list. The iconic star latest performance proves that the 65-year-old actor is one of the most multifaceted, talented and sought after names in Hollywood today. For his outstanding contribution to the world of cinema, Douglas was recently bestowed the distinguished Chaplin Award at a star-studded gala given by The Film Society of Lincoln Center. Who can forget the actor’s captivating performance in the sexual thriller “Basic Instincts” (1992) or the international box office hit “Traffic” (2000) in which he co-stars with his beautiful wife award-winning actress Catherine Zeta- Jones. The legendary “Wall Street” (1987) movie in which Douglas portrays a ruthless money man is about to resurrected in “Wall Street 2: Money Never Sleeps” due out later this year. The film is being directed by Oliver Stone. Douglas won two Academy Awards so far in his career. One for as producer in the film “One Flew Over The Cuckoo’s Nest” in 1975 and one for best actor in the hit film “Wall Street” (1987). But let’s back track a bit. Like many top stars in Hollywood, Douglas has had his share of ups and downs. For years after his role in the film “The China syndrome” with Jane Fonda (1979), the actor’s career seem to have been at a stand still with occasional roles in films that ever made a splash at the box office. Recent Tony award winning actress Catherine Zeta Jones listens to a question from The Ravi Report. But the award-winning actor’s luck seemed to have changed in 1984 with the film “Romancing The Stone” which became an instant hit putting the star right back up on the A list. Followed by the equally popular sequel “A Jewel In The Nile” , the films made Douglas one of the most sought after actors in Hollywood. It didn’t stop there folks. The actor married the stunning Zeta-Jones in 2000. Both youthful looking actors share the same birthday, September 25. The couple has always planned a special celebration on their Day of Glory and last year, they celebrated in NY with friends and family for the big 4-0 for Zeta-Jones. Douglas and Zeta-Jones are also actively involved in charitable causes and spend a great deal of time in Wales attending events close to their hearts. 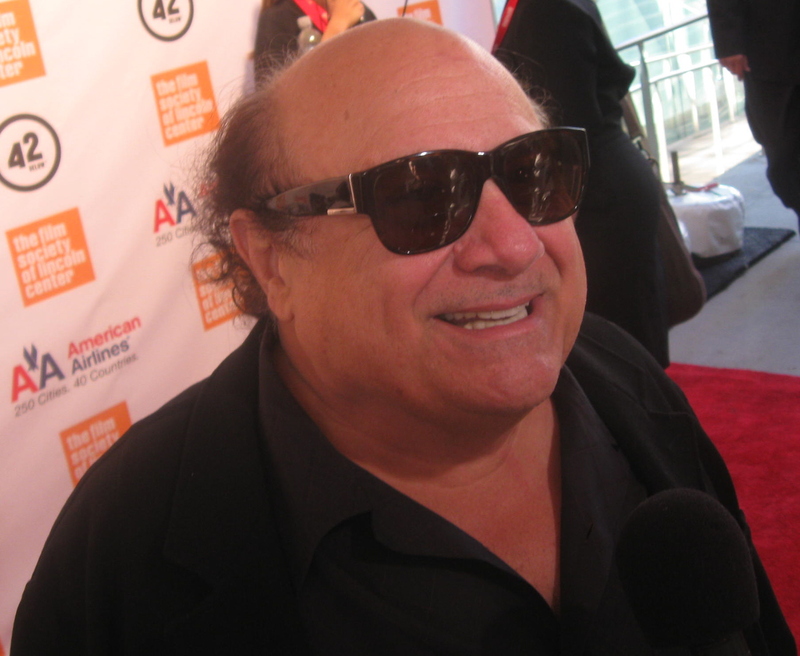 Long time friend and colleague actor Danny Devito came to honor his friend Michael Douglas. The 93 year-old Kirk Douglas Sr. was also present during the tribute to his son. A rare treat indeed. The award began in 1972 in honor of Charles Chaplin who had returned to the US from exile to accept the award. The award has honored many since then including Alfred Hitchcock, Billy Wilder, Laurence Olivier, Federico Fellini, Elizabeth Taylor, Martin Scorsese, Meryl Streep and most recently last year’s recipient, Tom Hanks. The rare treat for us press folks was to see the entire Douglas family coming together to honor the versatile actor and his dedication to his craft. 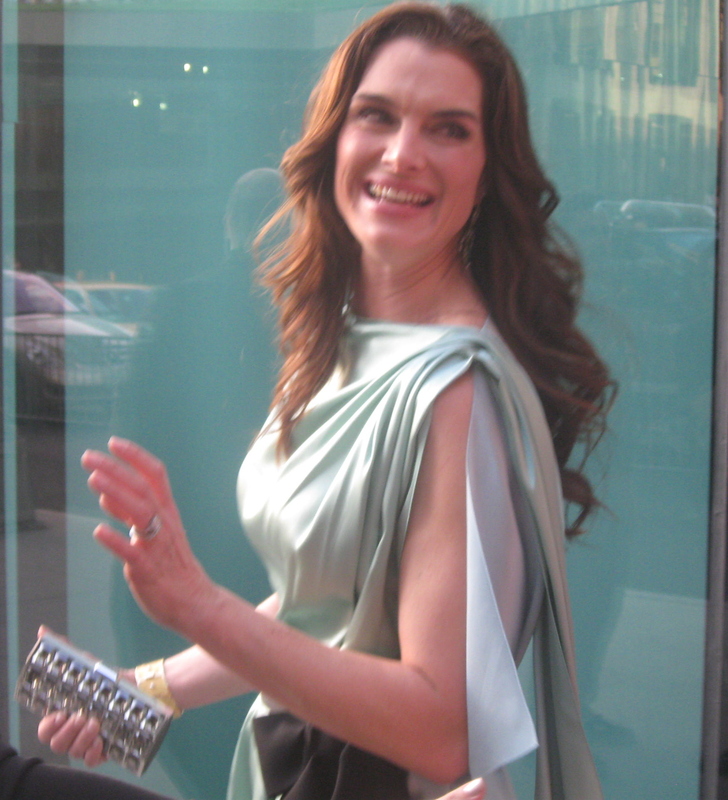 The Film Society of Lincoln Center produces the gala every year. Friends, long time associates and well wishers who have known Douglas for years came to be part of the celebration. Brook Shields looking as beautiful and classy as the statuesque mom always does, came to honor her friend as did Danny Devito, the comical actor who also stars in “Solitary Man” with Douglas. Douglas’s striking wife Catherine Zeta Jones who just recently won a Tony for her performance in “A Little Night Music” was at her husband’s side at the Lincoln Center Gala along with her in-laws posing for pictures and answering questions from the press. Catherine Zeta- Jones herself has had an incredible journey in Hollywood as well. The 40 year singer, dancer and actress has both a successful career as a film and stage actress. Films like “American Sweethearts” (2001), “The Phantom” (1996), “No Reservations” (2007) “The Mask of Zorro” (1998) and “Traffic” (2000) have all done well at the box office making the Welsh actress one of the highest paid actresses in Hollywood today. She won an Academy Award for her role in 2002 in the film “Chicago” which she did her own dancing and singing. Her stage work on Broadway has proven that people appreciate her work and her recent Tony win, Outer Critics Circle Award & Drama Desk Award for “A Little Music Night” only validates her talent even more. Friends of The Ravi Report Graff USA President Henri Barguirdjian with guests arriving at the gala. There are also some industry rumors circulating that both Douglas and Zeta-Jones may be in the film “Racing The Mansoon” a story about a diamond robbery on an Indian train. The RR will keep you posted on any updates. 2010 already seems to be a favorable year for Douglas and his family. With “Wall Street 2″ releasing later this year, his wife winning a Tony, a hit movie currently in the theaters and the Chaplin Honor, things are looking pretty good for the star these days. The journey continues…and for the Michael Douglas and Catherine Zeta-Jones it just got sweeter. « PEABODY AWARDS HONORS THE BEST!